One of my ultimate dreams in life is to own a furniture shop and sell original pieces at affordable prices. But since I still lack the resources and hours to go at it full time, I decided to start small. Back in the '80s, space planning and storage solutions weren't given that much thought when building homes. Our house is no exception. My room is a square area, probably 9 x 9 ft., and on one side is where my floor-to-ceiling closet is located. I have no side tables or drawers to store the clutter that I have accumulated over the years, so I decided to build one. 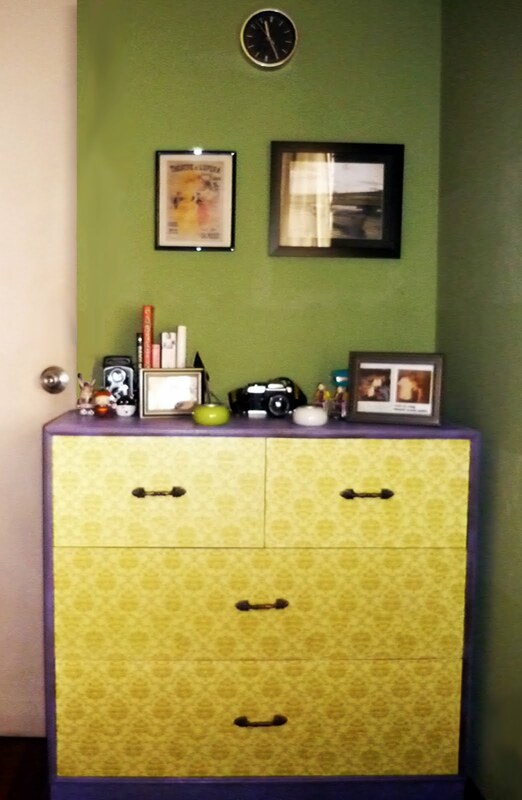 I hired a carpenter to build the dresser and then finished it myself. It took the carpenter two days to do his work and took me three days to complete the finishing. I wanted something that would liven up my room so I searched the Internet for a pattern that will match the color of my walls and then decided that I wanted a distressed finish for the sides and the top. All in all, the dresser only cost me around half the price of what it would cost if I bought it outside. i'd like to know your contact details. i have big projects that you might want to write about. thanks! Hi! You may email us at houseofonika@gmail.com Thanks! One way to update your bedroom's look is to add a dresser that you like. Buying such a dresser could cost hundreds of dollars. With some creativity and an old or plain dresser, however, you can undertake a project that leaves your bedroom looking just the way you like it.